Struggling novelists suffering from writer's block can now make use of online random plot generators. Click the button - hey presto, some ridiculous storyline is revealed and you can sit down and write a best-selling book round it. Last night, whilst channel-hopping to avoid anything to do with red noses and enforced jollity, I found a film called 'The Quest', the plotline of which must have come from one of these gizmos. "A globe-trotting New York pickpocket is captured by pirates and enters a martial arts competition in Tibet". 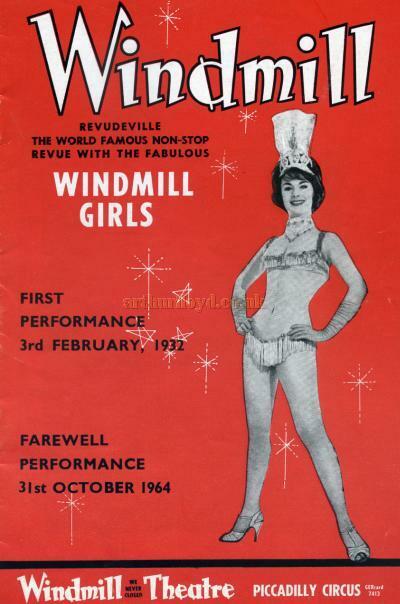 It starred Roger Moore and Claude Van Damme, who funnily enough, is not the grand-daughter of Vivien Van Damme, owner of the infamous Windmill Theatre. 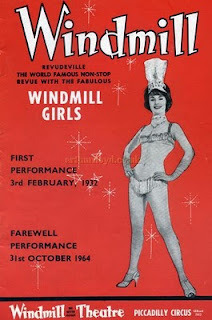 His proud boast was "We never closed" (or as the punters used to re-phrase it "We never clothed" as the non-stop shows mainly featured naked women). Hitler's bombs rained down and squadrons of Luftwaffe darkened the London skies but there was always a place where a man in a shabby raincoat could go to ogle naked women. Makes you proud to be British.